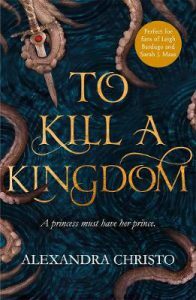 To Kill A Kingdom by Alexandra Christo is the swashbuckly and deliciously dark pirate adventure we’ve all been waiting for. It’s got hints of a Little Mermaid retelling, with more nods to the original Hans Christian Anderson tale than Disney ever did. This is full of sirens who eat princes’ hearts and enchantments and runaway royalty and enough snark and banter to have you smirking in your seat. The story follows two narrators: Lira, a siren who eats princes’ hearts and whose wicked mother is getting between her and the throne. And also Elian, who’s very opposed to his royal heritage and wants to be a pirate, riding the world of the murderous sirens that claim so many innocent lives each year. Their stories entwine when Lira is cursed to wear human legs until she can prove her loyalty to her people…and the perfect way to do that would be to kill Elian. Except Elian is on a quest to find a way to stop the siren queen forever and when he rescues a “mysterious” girl lost at sea — he has no idea who he’s truly making alliances with. The characters just stole the seawater for this one! The dual narration is perfect balanced, with each character stealing the show as soon as they’re on page. He’s hunting her and she’s hunting him, which is obviously the recipe for a perfect romance. This is enemies-to-lovers at its finest! It wasn’t rushed or awkward. It was seriously such perfect fun to see them go from distrust to distant admiration to snarking at each other to “accidentally” “saving” each other’s lives. Lira’s denial of having feelings for him (hey, she’s a wretched evil siren, remember?!) was completely adorable. I also loved how they both had soft sides, even though they’re warriors here to fight in the seas. Lira is super sweet and protective of her little siren cousin. Elian is quite soft and kind to his crew, despite being a “pirate”. And his sass and banter levels were off the charts. I also loved how it portrayed the sea! It fully makes you fall in love with it. I mean, yes the sea in this book is full of murderous dangers, like sirens and mermaids and monsters, but the vivid and lust descriptions made me understand why Elian couldn’t leave the sea to claim his birthright of the throne. The lure was there! I could see the gorgeous settings, taste the salty sea, and absolutely lose myself in the world. There’s actually quite a lot of world to explore, and even though the book is small, it takes you a variety of places with excellent world building. There are kingdoms and mountains and palaces with cursed queens. I found the description was perfectly balanced — not info dumps, but enough information to set you up in this diverse and intriguing world. I particularly appreciated the amount of banter! It kept me smiling the whole time as Elian and Lira sparred words and gradually fell for each other. The secondary characters also had their quips too! To Kill A Kingdom is a lush and vicious book that will lose you in its winsome adventures of death and curses, love and magic. It was perfectly written and exquisitely told, face-paced and entrancing! If you are like me, knowing there are only 41 days left until Christmas fills you with silent terror. You know it’s not about the presents. You know you’ll want (have) to give some, anyway. You’ve heard books tick all the enduring, educational, entertaining boxes as far as kids’ gifts go, but how do you choose without going crackers? During the next 41 days, I’ll share a cluster of the best kids’ books of 2017. Hunt them down for your Christmas stockings. Hold on tight though, we’ll be going faster than a turbo-charged reindeer over black ice. Striking board book series featuring elegant artwork and lyrical text. 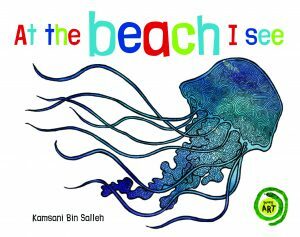 This one is useful for forging connections between our beautiful seashores and new creatures. Ideal for 2+ year-olds. Jellett’s character-filled illustrations bring this fascinating assortment of historic aviators to spectacular life. From Lawrence Hargrave to John Flynn, ‘Smithy’ to Nancy Bird, numerous significant figures in the history of flight and aviation in Australia are described using first person narrative and fact-based prose. Amazing facts are included along with modern day updates. 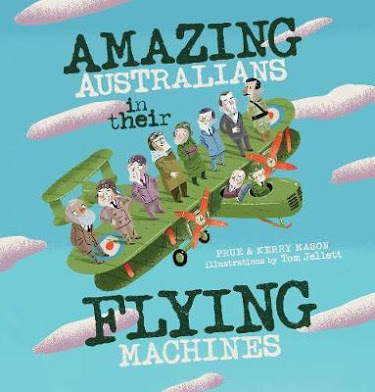 Perfect for aeroplane enthusiasts from 8 years upwards. Read Romi’s full review, here. 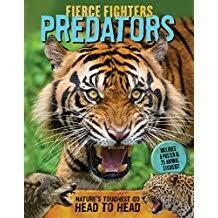 If you love Deadly 60, you’ll be mad for this beefy full-colour collection of some of the world’s most formidable predators. Ridiculously fearsome and astounding photographs accompany an incredible list of hunters from apex predators such as lions and sharks to the less ubiquitous platypus. Scientific facts and stats provide just enough information without obscuring the teeth baring drama and are paired in side-by-side showdowns – anglerfish vs. pelican eel, for example. An awesome addition (with stickers and poster!) for the would-be marine biologists and nature lovers aged 6 – 14. 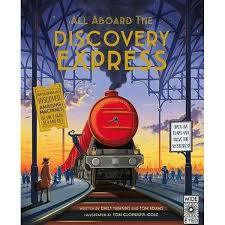 Move over Orient Express, the Discovery Express has arrived, platform one. This is a glorious pop-up, pull, and flap creation allowing readers to embark on a thrilling journey back in time with Nancy Delaney, geographer, explorer and all-round adventurer. Choco-block with puzzles and fascinating facts, Nancy escorts you from Paris to England, the US and beyond on a spellbinding journey of discovery about trains, planes and yes, automobiles. Even submarines are included in this book, which is more of a code-busting adventure romp through history. Highly recommended and ideal for sleuths and transport spotters from 10 years+. 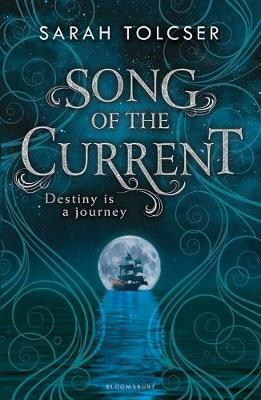 Song Of The Current by Sarah Tolcser absolutely caught my heart with its levels of epic swashbuckling. I’m always on the look out for delicious pirate books, and this doesn’t disappoint! Also add in a dash of love/hate romance, smuggling, dark power that does not sleep, badass female captains, personified water gods, a small mention of a water drakon, and delicious amounts of fried fishfingers — and you have ourself a most spectacular novel. I can’t love this one enough! The story centres around Caro Oresteia who is-first mate to her father, a wherry captain. They sail the rivers (and have a small side-business of smuggling) and they get called upon to deliver a secret box. When Caro’s dad gets thrown in jail, she has to sail her ship alone and deliver the box. Except a pirate attack drives her to check out this sinister cargo — and the contents change everything. I will also emphatically rave over the world building. Most of the book takes place on rivers, and I could just feel the murky depths and the jungles and the wherries catching the right tides as they slink up and down jungle infested rivers. I could see it all! It was perfect and brilliant. #aesthetic Plus it actually had a unique and interesting magic system and an intoxicatingly vicious political aspect going on. I didn’t get confused or overwhelmed. Details were sparse but pointed. Caro was an AMAZING protagonist! She’s stubborn and feisty and loyal and brave. She’s in love with the water and her boat, and when her dad gets thrown into jail for not smuggling something super top secret and suspicious for the royalty? CARO DOES IT. She gets a letter of the marque and becomes a privateer. Also she will stab you in the eye if you insult her ship. The romance was just the best, with the love-to-hate trope done to perfection. Caro getting entangled with an important and stuffily vain boy who needs her help. Their banter is exceptional. Mostly because they hate each other. I ship these two. Markos is forever my favourite. He dresses nicely, he has no idea what anything does on a ship (#relatable), and he is badass when he’s finished being vain. The plot was engaging the whole time! Although all the sea/ship explanations lost me. However it did make the book feel real. There as plenty of sailing and gunshots and sneaking around like skulking pirates. My only dislikes? Not much! I was just disappointed I guessed all the plot twists and the stakes never felt really high enough for me to be worried for the characters. This is a completely murky and beautiful tale of rivers and pirates, of smugglers and guns, of sea gods and monsters. It was beautifully and engagingly written with characters I fell totally in love with! I adored how much it empowered women and gave us the badass female pirates we’ve all been longing for. There’s explosions and deathly sword fights and stolen ships and an engaging plot. What more could we want?! A well-known writer for kids once stated, ‘Imagination is simply Image – Nation’ meaning, you fill your ideas well from all the images pooled from your life experiences, the world around you, and your impressions of it. That is what really constitutes imagination. However it occurs, unleashing it is the penultimate fun part. Here are two imaginative new picture books that do not hold back. There is a veritable shipload of things to like about this rollicking tale of adventure and mayhem set incongruously within the confines of the Blossburn’s family lounge room. Sillett’s surreal tale about a book with a mind of its own explodes with mirth and mystery the kind of which pre-schoolers love to wallow in. It’s not just wallowing that they can indulge in either. There is enough onematapedic dropping and plopping, sploshing and splashing to have little ones dashing for their gumboots. Blackhearts by Nicole Castroman took me completely by surprise! I was a bit dubious going in because while it looks like a dark hearted pirate book, I’d been warned it was more of a historical romance. That’s true! While this is the infamous Blackbeard’s origin story, it’s about before he turned to the sea. And yet, despite the lack of pirate action, I was completely in love with the story. I adored it! It had complex and winning characters, excellent writing, a dash of sass, and the promise of pirates in the sequel. So really — I am hooked. The story basically follows two very different people: Anne and Teach. Anne is a maid and because she’s half black, half white, she’s ostracised by everyone around her and she doesn’t feel like she belongs. 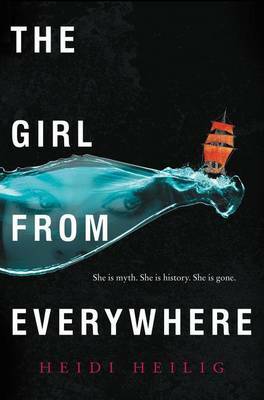 All she wants to do is take a ship over to the West Indies to find her deceased mother’s people. So she’s kind of stealing from the manor lord to do so. Um, very bad idea. And on the other hand, we have Teach, who dreams of the sea but his father has him set up to marry an insufferable duchess and stay safely behind closed doors all his life. To which Teach says: no. Anne and Teach’s lives get caught up wonderfully because they both want to defy society’s expectations and follow their true dreams. Hopefully Teach’s true dream involves pirating in the future, because I have expectations. I loved how complex and interesting both Anne and Teach were! Teach loves books and while he can be an insufferable jerk, he’s really sweet too. Anne is very epically strong and will boss you around and woe to anyone who tries to take advantage or swindle her. She will, literally, thwack them with a bucket. They were both pretty strong-willed characters and yet still complimented each other marvellously. I was totally onboard with this romance. Okay, but Teach did annoyed me with his supremacy attitude. But I wasn’t a fan of how he wanted to “protect” Anne, which basically entailed controlling her. That was the thinking of the era. Basically “Oh I like this woman, I must make sure she never gets hurt ergo I must make sure she never does anything without my permission first so I can check it’s safe.” HOW ABOUT NO. Sit down, Teach. But, he did get better as the story went on. And I did adore how they argued so much! It just made me like them so much together. They are pepper and fire. Yes it’s also the “origin” story of Blackbeard. Which is awesome. I did wish Teach had indicated more piratey tendencies. He honestly was a bit too much of an upstanding citizen, so I do wonder how he’s going to end up joining the dark side. I will find out once the sequel is released! The writing was very marvellous too. I have a wariness of historical fiction and its usual tendency to be hard to read with stilted language style. But this? It was great! There are plenty of lords and ladies primly shouting, “I SHALL NOT, GOOD SIR!” but otherwise, there was banter and it was easy to devour. I didn’t want to put it down! Plus several scenes had me laughing out loud. 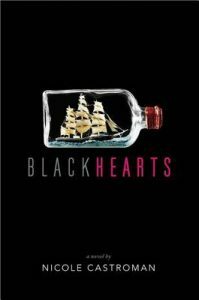 Blackhearts is definitely a book not to be missed! Sure it had cliche moments and I felt any complications towards the characters’ goals always got resolved a bit too fast. But there is a massively exciting cliffhanger finale, and Teach and Anne are amazing and I’m completely hooked on the storyline. Bring on the pirates! 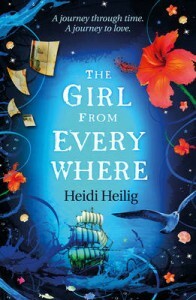 The Girl From Everywhere by Heidi Heilig was a delicious book of ships and time travel and I THINK I AM IN LOVE. This is my first ever time travel book, and it was hugely successful. But why did I adore this book so much? Oh oh, I’m glad you asked. I have a list of reasons. It is about time travel and pirate ships. According to the author’s note, the story was inspired by a pirate heist in the 1800s in Hawaii. The characters are somewhat modern, but the book is mostly set in the 1800s. (Although they do pop into modern New York at the beginning.) It’s basically about Captain Slate who is a time-travel-dude, and his daughter Nix, and their search to find the “right map” to take them back in time to save his wife from dying. The maps are basically AMAZING. And since this book is built on maps (you have to have the “right map” to get you to a certain place)…I was destined to adore it. Diversity. I love diversity and not only was Nix, the protagonist, half-Chinese…her best friend Kashmir was Persian, one of the crew members was African and lesbian, and there is an incredible variety of ethnic culture squished in here. And let’s talk about the writing: Because it was decidedly delicious. Although I will confess it bordered on “saying too much” at times. I could tell the book was really enthusiastic about history. OF COURSE! It’s a time travel book! But sometimes with the pages of explaining a myth that didn’t really matter…I was a little bored. Then there was Kash. Ahhhh, Kash. He is a little slippery fingered, silver tongued thief and basically my favourite character. So much sass. So much banter. “I am the view, amira,” he said, framing himself with his hands. Which leads me to talk about the protagonist, Nix. I wasn’t enamoured with her because she didn’t have a lot of personality compared to the stunning secondary characters…but she was still strong and independent and keen to prove herself a capable time-traveller. Which leads to the romance… You know what? This is NOT a very romantic book. It’s more about friendship, which I really loved! And although I rooted for Kash and Nix to get together, I more enjoyed their sassy and witty banter of friendship. Overall? My expectations were more than met! For an intro into time-travelling, I’d say I’m officially hooked. (All the maps and ships helped, of course. Because MAPS.) It is definitely a highlight of the year so far and so exciting that it’s only a debut! I can’t wait for more by this author. 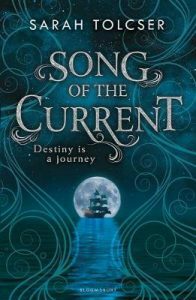 If you want a story that involves ships and thieves and obsessions and diversity, then this is for you. I bet your dad is not like other dads. 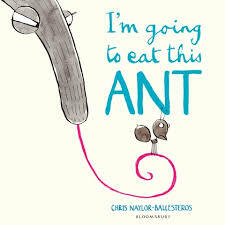 It might be nice to remember this on Father’s Day – yes it’s just around the corner, but with fab picture books like these celebrating the quirks and qualities of fatherhood available now, why wait. 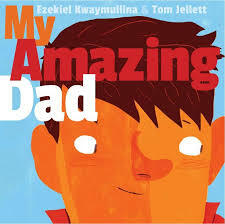 My Amazing Dad by the very amazing Ezekiel Kwaymullina and Tom Jellett team is a robustly illustrated, no nonsense close –up look at all of the pluses and minuses that are the sum total of fathers everywhere. And by ‘no nonsense’, I mean, hilarious. 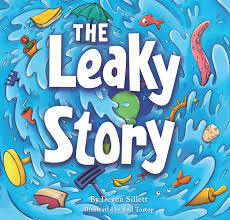 This picture book is rather like a collective expose of truths. Kwaymullina might well have spied on my own husband to gain these insights; the narrative rings so true! For two children, a boy and a girl, their dad is not the best plumber, baker or time keep in the world but he can turn everyday normal into extraordinary exciting, simply by being himself and loving them; a trait unique to dads around the world. You’ll be laughing and nodding in agreement all the way to the end. Time for Bed, Daddy by author illustrator Dave (Cartoon Dave) Hackett, is not as benign a bedtime story as the title suggests. For one, Daddy is behaving like petulant child and is painfully reluctant to perform the designated bed-time rituals required of him; having a bath, brushing teeth, changing into his jarmies and so on. It’s enough to test the patience of a saint let alone one little girl determined to get the job done. Hackett’s turnaround tale and brilliant cartoon-esque illustrations are seriously kid friendly and provide plenty of comic spoof for parents as well. 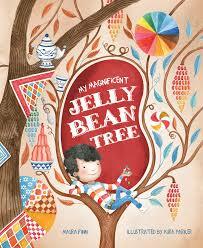 A rip-roaring read creatively flipping the cajoling and convincing routine that takes place at bedtime. Good to whip out when things are not quite going your way – or your child’s way! Pure enjoyment! Dads can make you feel invincible. It’s possibly the best gift they pass onto their offspring. 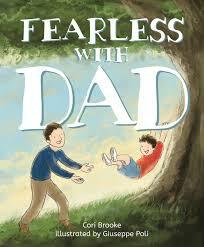 Fearless with Dad by Cori Brooks and Giuseppe Poli, is a beautiful affirmation of this notion. A little boy’s world abounds with a strong sense of optimism and adventure based on the can-do relationship he shares with his father. Together they ‘travel to the moon and back’, ‘can do anything and be anything’ simply because of their instilled shared belief in themselves. Poli’s illustrations are as stirringly positive as the evocative text. I was especially struck by the contrasting balance between pages with lots of white space denoting realisation and those of full glorious colour depicting actualisation of all the boy’s wondrous feats. Fearless with Dad is a picture book about self-awareness, resilience, and endless possibilities with love at its core. Not all dads are space heroes or saints, however. 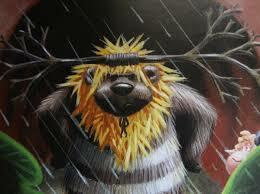 In fact, some can be downright cranky – like a bear. If you know one like this, why not offer him this little bit of fun, or perhaps slip it under his bedroom door on Father’s Day then run like crazy. 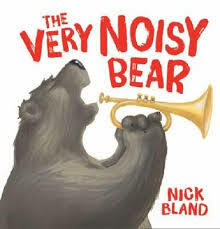 Nick Bland’s Bear is back, this time as The Very Noisy Bear. His old mates Moose, Zebra, Lion and Sheep and their rather loud jungle music, prematurely awaken bear one day. Some fathers will be familiar with this experience. Rather than risk raising Bear’s ire, they invite him to join them. Bear swaps his pillow for drums, then guitar, then the trumpet but playing instruments with any aplomb is not really Bear’s forte. The band mates decide to capitalise on Bear’s ‘awfully strong lungs’ in order for him to save face and them their sanity. Perfect for reading aloud and sharing with sensitively souled, outwardly vexed fathers searching for their true inner voices. 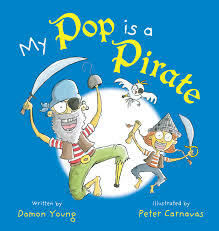 And just because nannas and dads shouldn’t have all the fun, make way for the laugh-out-loud second picture book by Damon Young and Peter Carnavas, My Pop is a Pirate. As left of field as Young’s former exploration of grandparenthood, My Nanna is a Ninja; Pirate Pop celebrates a little girl’s relationship with her grandfather and his swash-buckling standout differences from other pops. He may be peg-legged, one-eye and prone to shark attacks but he shares the same love and devotion for his granddaughter as any other pop. Carnavas’s pop portrayals are sensationally silly; echoing the refreshing absurdity of Young’s playful rhyming text. Ninja Nanna even makes a furtive cameo appearance. Rollicking good fun and a perfect gift to get grandad grinning. Cartoon Dave and Cori Brooke will be launching their books this month at Where the Wild Things Are in Brisbane. For info, dates and bookings visit their site. With stories about Somali pirates confined to 30-second, us-v-them news grabs, few of us (including the journalists putting together those news grabs) understand the complex reasons why these pirates exist. One Canadian journalist—a fresh-out-of-uni freelancer, no less—set out to find out precisely what drives people to roam the ocean with not even enough fuel or food to see them safely back to shore and to kidnap ships and crews in the hope of extracting large ransoms. The answers Jay Bahadur found are surprising and show the greyness of the issues underpinning piracy. These include the fact that rampant and illegal over-fishing by the kinds of commercial ships the pirates now kidnap killed off the fish stocks and left some of these former fishermen with no choice but to turn to piracy. Throw in a mysterious-sounding place called ‘Puntland’, a special kind of ‘pirate math’, and a reference to the game ‘Whac-a-Mole’, and what you have is a compelling read. I’ve got to admit that I’ve never heard of Puntland and that I think the name sounds made up. Is that the reaction you had when you first discovered it? It’s hard to remember my exact reaction on discovering Puntland, because it would have been when I was studying Somalia in university, seven years ago. But the name ‘Punt’ is taken from the Ancient Egyptian accounts of a land rich in ebony and frankincense, which may (or may not) be the same as the Puntland of modern times. Puntland’s founders apparently thought it was. You were a new graduate and freelancer when you tackled this project—something that many more established journalists hadn’t and haven’t. How important do you think a bit of naivety and enthusiasm were to making it happen? How has it influenced your career/others’ opinions of you since? Many people I’ve spoken to (including close friends) thought that what I was doing was insane, but I never saw it that way; I saw it as a justified calculated risk. In my mind, the book was already a reality—all I had to do was to go to Somalia and bring it into being. It may sound odd, or arrogant, but I never really doubted that some publisher would end up buying the book…the subject matter was just so engrossing, and I was really the only foreign journalist staying in Somalia long enough to get the whole story. The book opens with you taking a fairly dubious flight and you require personal security throughout the trip. Did you feel safe at any stage? Were there any hairy moments that didn’t make it into the book? The scariest moments were during the flight on my first trip into Somalia, not knowing if I was going to be picked up at the airstrip (I had not yet met my host and partner, a local journalist named Mohamad Farole). A lone white man hanging around a Somali airstrip would be prime kidnap bait, and I was ready to beg any of the other passengers to take me home for the night if my ride didn’t show. There were also a few dodgy moments when I was in the coastal areas, questioning a pirate gang that had gathered in anticipation of an impending ransom delivery. I started asking the wrong questions, and one of the gang leaders took exception…but you can read about that in the book! You note that there wasn’t much research available and that most major media organisations give 30-second sound bites that don’t delve into (or even understand) the complex issues that underpin piracy. How much of the book could you research/plan? The best information available at the time I began working on the book was contained in a handful of UN reports, which were by then already out of date. I had composed a list of very basic questions—who are the pirates, who is funding them, do they have links to terrorists, etc.—but mostly I tried to keep an open mind and figure things out when I got there. What’s the reaction been to/action inspired by your book? The reviews have been very positive, so far. It’s a little too soon after the launch to judge what action it has inspired, but I hope it will stimulate a more serious policy debate about potential solutions to the piracy problem. With some exceptions, I haven’t been too impressed with the quality of the current scholarship. You note the unreliability of your sources, including that they don’t give you full information or that their figures don’t add up/dates don’t match. How frustrating was that for you? How did you overcome it? Yes, ‘pirate math’, as I call it, often didn’t add up. Ombaali, a hostage guard whom I interviewed soon after I first arrived in Puntland, was a prime example. He claimed to have worked for Abshir Boyah—a veteran pirate boss who became the main character in my book—but Boyah denied ever having employed him. He also claimed to have made $50,000 over the course of three hijackings, but when I worked through his numbers (he told me that the guards collectively earned 30% of the ransom), I discovered that he couldn’t have made much more than $19,000. I strongly considered completely junking the interview, but in the end decided to use it; it was the sort of decision that journalism school definitely could have helped me with. I was really surprised that the victims you spoke to didn’t seem too traumatised by the experience. Is that across the board or were they exceptions to the rule? I’m not really sure, having only spoken to two former hostages. The ones I interviewed, however, were treated relatively well; in more recent days, hostages have been subjected to escalating brutality, as the pirates have employed methods such as beatings, mock executions, and using prisoners as human shields. More than one has committed suicide; on the MV Iceberg, a vessel that has now been held captive for well over a year, one crew member jumped overboard and drowned while trying to escape. With the ransom money going through the roof, the international naval forces more willing to use violence, and the pirates increasingly paranoid and jittery, the plight of hostages is likely only to worsen going forward. My favourite diagram is where you show the expansion in piracy. The dots are incredible, but at the same time don’t feel real. Is that perhaps the issue with Puntland’s piracy? That we recognise it in theory and know that’s expanding, but we don’t quite know how to tackle it? The problem is that the international naval forces cannot possibly cover an area of almost eight million square kilometres—roughly four-fifths the size of the United States—with a few dozen warships. The prospect of addressing the problem on land immediately conjures up images of the 1993 ‘Black Hawk Down’ incident, in which 18 US Army Rangers were killed and mutilated by Somali militiamen. Somalia is such a mess right now that no Western country would ever seriously consider putting boots on the ground. You liken the efforts to contain pirates like playing a game of ‘Whac-a-Mole’. If you could recommend three strategies to implement right now to address the issues, what would they be? A solution on land is a must. I suggest a five-point plan in the book, including the establishment of coastal garrisons in Puntland—equipped with radar stations, high frequency radios, and all-terrain vehicles—as well as local ‘pirate hotlines’, which would offer small rewards for intelligence tip-offs from local informants. The pirates are almost universally hated in the local communities, which is a resource that should be exploited. You note that as big/even bigger than the issue of piracy is the issue of what to do with pirates once they’re caught. How can we address this human rights issue? Deciding what to do with pirates is more a legal, logistical, and financial issue than a human rights issue. While most countries have a direct interest in ending piracy, none want to deal with the cost of dozens, or even hundreds, of essentially stateless persons clogging up their legal systems. In some countries, such as the UK, pirates may even be within their rights to claim asylum. In the book, I suggest setting up regional tribunals, and ultimately funding prisons in Puntland and Somaliland where convicted pirates can serve out their terms. It’s the same approach as the one currently advocated by the UN special adviser on piracy, Jack Lang, but UN machinery is notoriously slow and cumbersome. These things take time. On pay day, pirates throw their mobile phones into the water so no one can organise an ambush back on shore. Is it just me, or is that a problem environmentally? I’m envisaging a lot of toxic chemical-laden phones on the bottom of the harbour. That was the practice of one pirate gang I investigated while in Puntland’s coastal areas. Even if it were a common occurrence, a few mobile phones on the ocean floor would be the least of Somalia’s problems. Knowing what you know now, would you go in and research and write this book again? Without a doubt. It’s worked out even better than I could have imagined. It was a sort of counter case for Murphy’s Law: everything that could have gone right, did go right. I’m working with several colleagues on launching a citizen journalism website, Journalist Nation (www.journalist-nation.com). In a nutshell, our aim is to become a home for the numerous newsworthy cell phone videos ones sees floating around YouTube. My hope is to use the publicity surrounding the book to promote Journalist Nation (like I’m doing right now!). You’re coming to the Brisbane Writers Festival (I’m currently based in Brisbane so am looking forward to it). Where else can we catch you in Australia? After the festival I’ll be heading to Gleebooks in Sydney and also the Wheeler Centre in Melbourne. I’m really looking forward to it. This will be my first time in Australia. I’m looking forward to it too. I’ll be in Jay’s Brisbane Writers Festival session(s) if you’d like to join me.